The rich espresso finish and alluring curves of the Mcduffie bedroom collection will add elegance and sophistication to your bedroom. 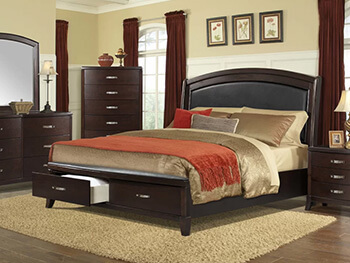 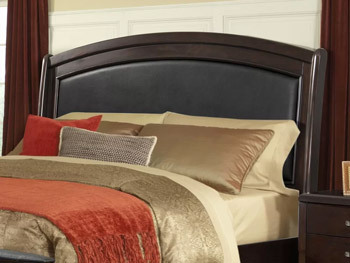 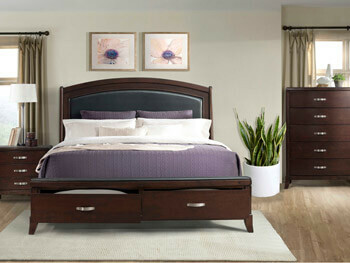 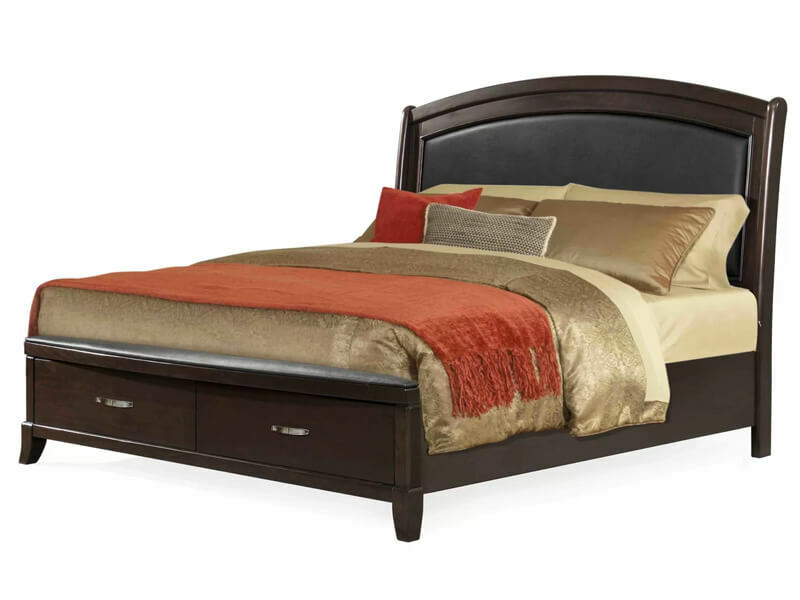 The Mcduffie bed is accented by the curved sleigh headboard with padded faux leather inset. The unique storage footboard also has a curved, padded faux leather top with two spacious storage drawers perfect for storing extra linens or other bulky items.